Carol Miller is a result oriented and customer centric Real Estate Professional who brings a strategic, yet personable approach to the home buying and selling process. Drawing from years of entrepreneurial leadership experience, she has built a reputation based on delivering top notch results, and providing her clients with the highest level of customer service. Carol knows what it is like to stand in her clients’ shoes. As a corporate executive she personally relocated her young family across the country several times, buying and selling houses of her own. This experience has enabled her to uniquely understand the dynamics and emotions associated with moving, including the importance of having a trusted agent and advocate by your side every step of the way. She is devoted to her clients and takes pleasure in guiding them through all the twists and turns of a transaction, from the first meeting through negotiations and closing Carol is with her clients’ every step of the way. “I take tremendous pride in becoming totally aligned with the goals and objective of my clients, once identified I work diligently to bring their real estate dreams to fruition. It’s all about exceeding expectations and establishing a lasting relationship along the way” say Carol. As noted in her excellent client reviews, Carol is a result oriented and a highly skilled real estate professional. “Carol Miller is THE BEST real estate agent we have ever had- both on the buy and on the sell side. We should know as we have bought and sold 14 homes across the US. She has listened very carefully to our needs and found us the perfect home. She got us THE BEST price in Southlake when we sold our house and in the toughest of times. Indeed, no one has sold a home for more per square ft. in our neighborhood, than us and Carol’s hard work and diligence was the reason. Unconditionally, we recommend her to anyone who wants to get the best service, the most careful attention and the best price either on the sell or buy side”. 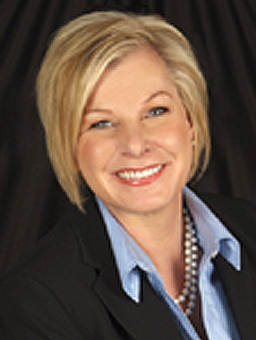 “Carolanne Miller is the only call you will ever need to make if you need to sell your home. We did, and we never looked back. Make the call and you will find out for yourselves. You will not regret it. In fact, you will ask yourself, why did I even consider calling anyone else? Carol says what she does and does what she says! A first class professional and a closer”. “Working with Carol was the best decision I could have made. She worked as hard as she could to get me the best possible deal…. She was also readily available whenever I needed her”. “As a first-time home buyer I appreciated Carol’s help managing all aspects of my transaction. Her knowledge of market conditions and strong negotiation skills enabled me to get the home I wanted at a fair price”.